An oil that has a high level of oleic acids (monounsaturated fats) in comparison to other versions of the same oil. 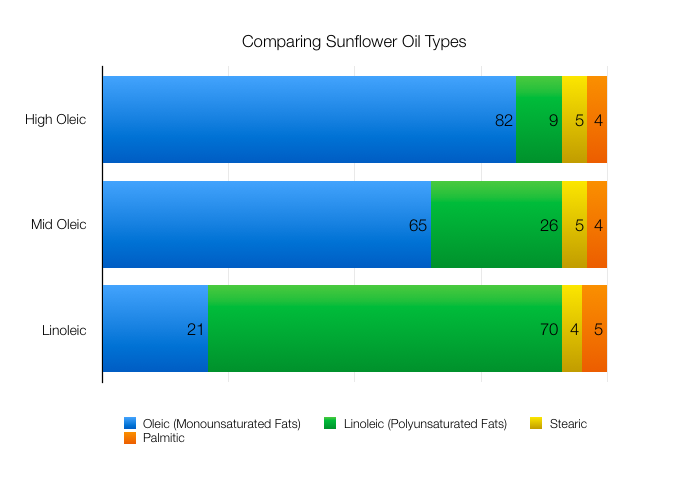 Examples would be high oleic sunflower oil, which is made up of about about 80% oleic acid. This is in contrast to a linoleic sunflower oil, that has higher levels of linoleic acid (or polyunsaturated fat).